A bond's return is factored by purchase price, coupon rate and reinvested interest. 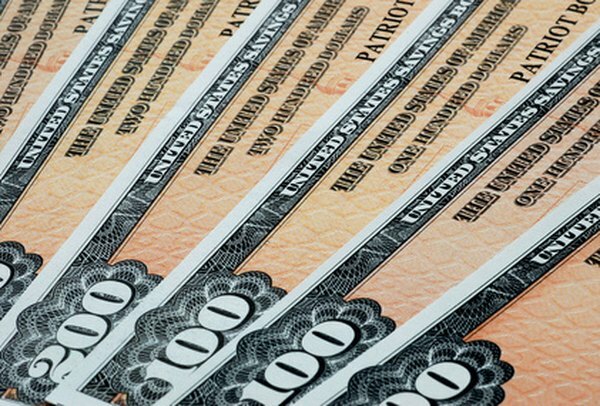 Reinvested bond coupon payments can account for up to 80 percent of a bond's return to an investor. The exact figure depends on the interest rate earned by the reinvested payments and the amount of time until the bond matures. This amount can be calculated by tallying the compounded growth of reinvested payments, or by using a standard formula when the interest rate equals the bonds yield-to-maturity rate. A bond can be purchased at a discounted or premium price with respect to its face value. When the bond matures, the face value is paid and the difference between the face value and the purchase price increases or decreases the overall return of the bond. In addition, bonds make coupon payments that are calculated using a simple interest formula. These payments may be made annually or semi-annually and are paid directly to the investor. Rather than making coupon payments to the investor, some bonds automatically reinvest the coupon into the bond, so they grow at a stated compound interest rate. For longer bond maturity periods, this interest-on-interest significantly increases the bond's ultimate return and may be the only way to realize an annualized holding period return equal to the coupon rate. The calculation of reinvested interest depends on the reinvested interest rate. The interest-on-interest formula for reinvested coupon payments assumes the reinvested payments grow at an interest rate equal to the bond's stated YTM. To calculate this total, raise 1 plus the YTM rate to the nth power, where "n" is the number of payment periods. Subtract 1 and divide by the YTM rate. Multiply the result by the coupon payment amount and subtract the total amount of payments. As an example, if a bond offers a 10 percent YTM rate with 20 annual payments of $50, raise 1.10 to the 20th power to get 6.73. Subtract 1 and divide by 0.10 to get 57.3. Multiply by $50 to get $2,863.75. Subtract $50 times 20 to get a total reinvested interest of $1,863.75. If the reinvested interest rate is less than the YTM, you can still calculate the interest for each reinvested coupon payment and then tally the results. To calculate an individual payment's total earned interest, raise 1 plus the interest rate to the nth power, where "n" is the number of periods remaining, and multiply by the coupon payment. Subtract the coupon payment to extract just the interest amount. Add each interest amount to calculate the total reinvested interest earned. As an example, for a bond that makes four annual payments of $50 with a reinvested interest rate of 4 percent, the first payment would have just three compounding periods remaining. Therefore, raise 1.04 to the 3rd power, multiply by $50 and subtract $50 to calculate interest of $6.24. Using the same formula, the three remaining payments would have earned interest of $4.08, $2.00, and $0. Totaling those four figures calculates a total earned reinvested interest of $12.32.